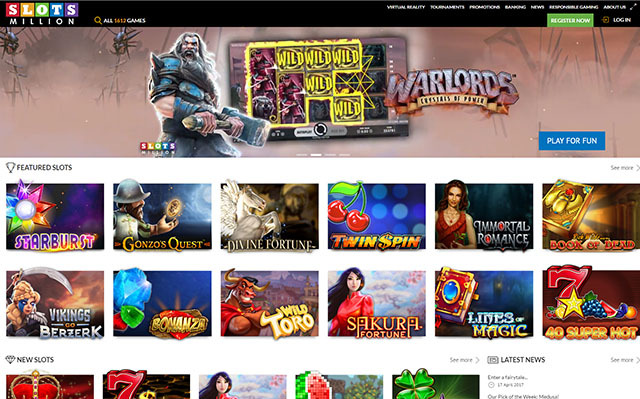 Slots Million Casino Review: New players can enjoy a 100% bonus up to €/$100 AND 100 NetEnt Free Spins. Slots Million Casino is operated by Alea Gaming Ltd, which is regulated and licensed by the Gaming Authority of Malta. Slots Million Casino values all its players and wants them to feel like a million bucks. The casino aims to do this by making things easy at the casino. This means that playing at the casino is easy – from logging in on your iPad or your smartphone, the experience should be seamless and thrilling each time. 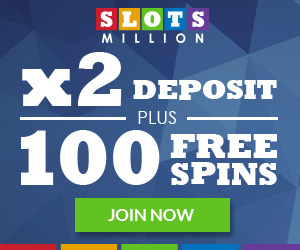 Slots Million Casino offers games from the top casino gaming providers such as Microgaming and NetEnt to name a few. 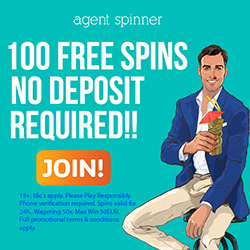 Get a Welcome bonus of 100% up to €100 + 100 NetEnt Free Spins when you sign up as a new player at Slots Million Casino. Once you have made your deposit of €/$20, you will receive 20 Free Spins on Gonzo’s Quest immediately. Note that the wagering requirements are 35x on the bonus. Players from these countries are restricted from playing at Slots Million Casino: Burquina, Mauritania, Tunisia, Spain, Italy, Guinea, Mauritania, Albania, Macau, Angola, Zimbabwe, Curacao, Tunisia, Algeria, Afghanistan, Algeria, Cyprus, Greece, Israel, Nigeria, North Korea, Sudan, Botswana, Egypt, Syria, Yemen, UK, Turkey, USA, Mali, Chad, Somalia, Kenya, Congo, Gabon, Cameroon, Ethiopia, Tanzania, Libya, Namibia, Mozambique, Ghana, Iraq, and Morocco. You can deposit using the following methods: Visa, Mastercard, Skrill, Neteller, Paysafecard, iDeal, Zimpler, Trustly, Siru, Sofort, Bank transfer, and EcoPayz. Make withdrawals using the following options: Credit cards, E-wallets, and Bank transfers. E-wallets take 24 hours, while Bank transfers take between 2 – 5 days to withdraw. Credit cards take the longest to withdraw, from 3 – 7 days. The pending period is between 24 – 48 hours. AUD, CAD, EUR, NOK, SEK, and USD. English, German, Finnish, Norwegian, and Swedish. NetEnt, Microgaming, Leander Games, NextGen, Thunderkick, Quickspin, Elk Studios, Genesis, Cryptologic, 1×2 Gaming, Big Time Gaming, 2 by 2 Gaming, WagerMill, BetSoft, Pragmatic Play, Rabcat, Play n Go, Nektan, Playson, MGA, Lightning Box, Casino Technology, Red Tiger, Ainsworth and Blueprint, Yggdrasil, Noble Gaming, Merkur Gaming, Felix Gaming, and EGT. Customer support is available via Live Chat and Email.